Alright folks! YOU HAVE 2 DAYS TO PREPARE … OR NOT! So if you really want to see if you’re prepared ignore this post and start the challenge in 2 days on the “practice” portion of the preparedness cycle. What is the preparedness cycle? Read this. However, if you’re not sure if you’re ready, we have some things for you to do over the next 2 days. We felt like giving you a list and time to get ready would only be beneficial in the long run. These are things you may have been putting off so we’re giving you 2 days to “prepare”. Feel free to buy some of these things or locate them if you have them already. We have even made this list into a printable checklist so you can print if off and get right to it. We will see you in 2 days with our first “practice” scenario. 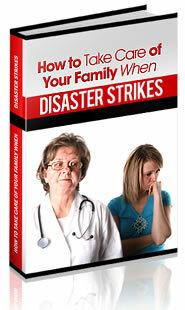 -Have an emergency escape plan from your home and make sure all family members know it and know where to meet. -Prepare an evacuation list of things you would need to grab in case you need to evacuate. -Do your laundry now, so you have clothes that are dry and clean. Locate items necessary to do laundry by hand. Remember to get everyone in your house involved. Then in 2 days we will be back with scenario 1 on Thursday, scenario 2 on Friday, and scenario 3 on Saturday! MAKE SURE to visit the event page on Facebook to discuss your progress and share tips. Click on “discussion” on that page. The post 7 DAY CHALLENGE – DAY 1-2: PREPARE appeared first on Food Storage Made Easy.